REGISTRATION CLOSES JULY 13TH - We must submit an access list to the Academi Training Facility two weeks ahead of time... If you have not preregistered by then, you will not be permitted on the premises. THIS INCLUDES SPECTATORS. Academi is located on a secure compound in Moyock, NC. Participants and spectators must pre-register for the event in order to be granted access and attend. The main entrance to Academi is located at the end of Puddin Ridge Road, appx 3.7 miles off Rt 168. You will be required present a photo ID at the gate. There is no street address for the main gate, but you can enter the below into your GPS, and follow Puddin Ridge Road from Rt 168 to the main gate on the north side of the compound. Strictly obey posted speed limits while on Academi property. http://www.tidewatersportscarclub.com/maps-and-directions/This event is not part of the TSCC Annual points championship and is not a normal Autocross style event. The format will be a blending of road racing and autocross. Participants will perform a standing start, perform one circuit of the course and cross a finish line before exiting the course and pulling back into grid. The day will be broken into several heats based on the number of participants and divided into morning and afternoon sessions. All competitors will be given runs in both sessions. All drivers will be working the course during their off-heat! This entails manning a flag and radio should anyone run off track, experience a mechanical issue, etc. Further info will be provided in an email a few days prior to the event, and gone over during the driver's meeting. We will be running the largest 3 combined tracks configuration! This makes for 120-140 second lap times roughly. NEW FOR THIS EVENT: We have a new classing structure for our Time Trial Events! We no longer have just Street Tire and Open/Race Tire classes... we are implementing this TSCC Classing Calculator to place cars in classes "A" (fastest) through "F" (slowest), with an additional "U" open/unlimited class which is where all tube chassis dedicated race cars will go by default. Ridiculous fast cars can also get bumped to "U" with enough points/modifications. If you have any issues, feel free to email trackevents@tidewatersportscarclub.com with as many details as possible about your car and we will get you sorted out. Competition is open to any street or race legal car provided it meets the same basic safety requirements as an autocross plus our Supplemental TT Rules (CLICK HERE). As the speeds are generally expected to be higher than our normal events extra attention will be paid to the safety and maintenance of vehicles entered for competition. **New this year all open top vehicles will be required to have proper roll over safety gear in place this includes all convertible car, all open top vehicles must pass the broom stick test. Note: a hard top for a Miata or S2000 does not meet the minimum requirement for roll over protection. Please email trackevents@tidewatersportscarclub.com for further details. METHANOL INJECTION IS NOT PERMITTED AND SHALL NOT BE BROUGHT ON-SITE. YOU MUST REMOVE THE TANK FROM THE VEHICLE TO RUN ON TRACK. Due to the secure nature of the facility hosting this event, there are a number of items outside the normal process that participants need to be aware of and prepared to agree to. Online pre-registration is required for both participants and spectators. There will be no admittance to the facility for individuals not on the access list. There is no walkup registration the day of the event. In order to attend this event, Academi will run a simple security check on all registered participants and spectators. Academi may request an attendees date of birth to further clarify the identity of an attendee. On Site Food – Meals are currently $5.00 for breakfast, and $10 for lunch and dinner. Pro-Shop – Should be open at least 8 or 9 to noon, maybe longer. Competition is open to any street or race legal car. Since the speeds are generally expected to be higher than our normal events extra attention will be paid to the safety and maintenance of vehicles entered for competition. Tech inspection will be similar as for autocross events, except for the additional guidelines for convertible/open top vehicles and harness mounting as explained in our Supplemental TT Rules (CLICK HERE). Membership is $35 per year and will save you $10 on this event alone. 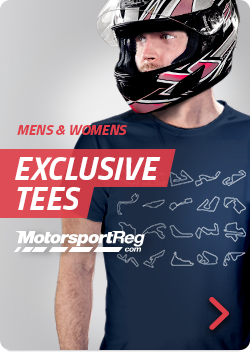 You can register to be a member at http://tscc.motorsportsreg.com. At the top is our membership registration.